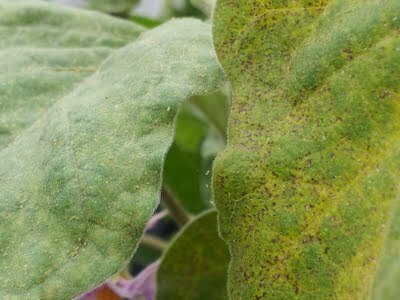 How Do You Know it is Red Spider Mite? 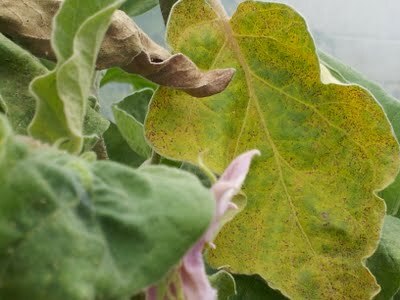 Initially we noticed a pale mottling on the surface of the leaves of plants, namely aubergines in this case (which the mites have a particular taste for). As you peer closer, particularly if you have a heavy infestation as we had, you may notice webs speckled with tiny flakes of dust. As you look closer still you’ll notice that the dust moves and isn’t dust at all, but the tiny mites (they’re less than 1 mm long). What Do Red Spider Mites Do? 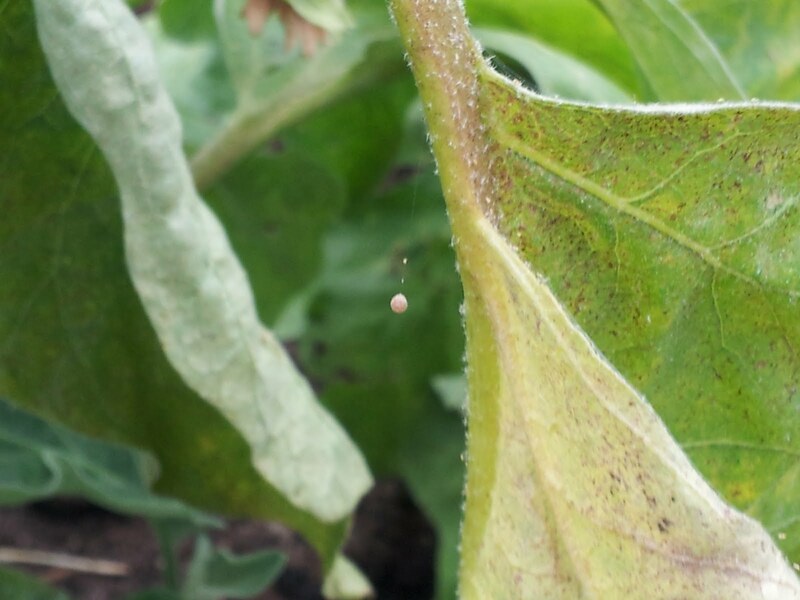 Red spider mites are sap-feeders which means they have a toxic saliva that results in the leaves discolouring. 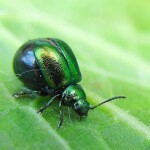 In the case of glasshouse mites, initially the leaves become a dull green but then increasingly a yellowish-white. Eventually leaves can dry up and fall off. 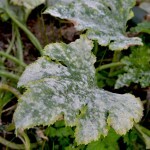 The mottled leaves can resemble a mineral deficiency so if you notice any discolouration in leaves they will always call for further investigation. So Red Spider Mites aren’t Red Then? Red spider mites only turn an orange-red in the autumn and winter months when the adult female hibernates. Until then they are yellowish-green in colour, so no, they’re not the little red spiders that you often see scurrying across paths and brickwork. Will Red Spider Mites attack everything? 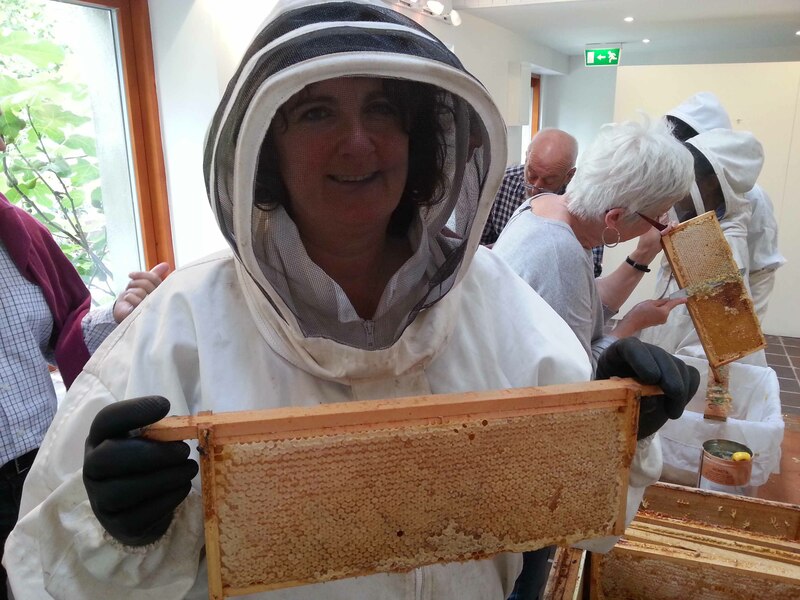 They have a varied diet, are fond of a range of plants in a greenhouse, polytunnel or even indoors. 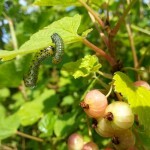 In dry summers they will also feed on strawberries, currents and beans as well as other outdoor plants. As they’re so easy to miss because of their size the likelihood is that they were brought if from another garden/polytunnel with an infestation. One of the lovely things about gardening is swapping plants but unless you can be absolutely sure they were grown in a pest free environment, be cautious. Always clean and disinfect pots and containers every year before sowing as they can harbour pests, and of course – be vigilant. I hadn’t been to the community garden over the summer holiday weeks, only returning last week for a tidy and catch up and unless you’ve seen an infestation before, it’s very easy to miss. What do we do? How do we get rid of them? Undercover in warm, dry conditions they breed rapidly so regularly hosing down in greenhouses, etc will help to raise the humidity and give some control. They can over winter though so once you’ve identified you have them, you need to eradicate them before they start to breed again in the spring time. 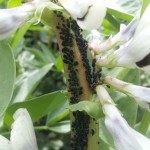 If you’re gardening without the use of pesticides as we are in the community garden, then biological control is likely to be the most effective method of ridding them. This means we will be introducing predatory mites Phytoseiulus Persiliis into the polytunnel in the hope that they will target and attack the Red Spider Mites. If the infestation isn’t too severe insecticidal soaps can work too. In the meantime, we’ve removed all the aubergines from the polytunnel and away from the garden entirely as they were heavily infected and we’re keeping a very close eye on the cucumbers that are in the next bed. We’ll all be looking very closely at our own gardens and polytunnels/greenhouses too and hoping that they didn’t hitch a ride home on any of our clothing. 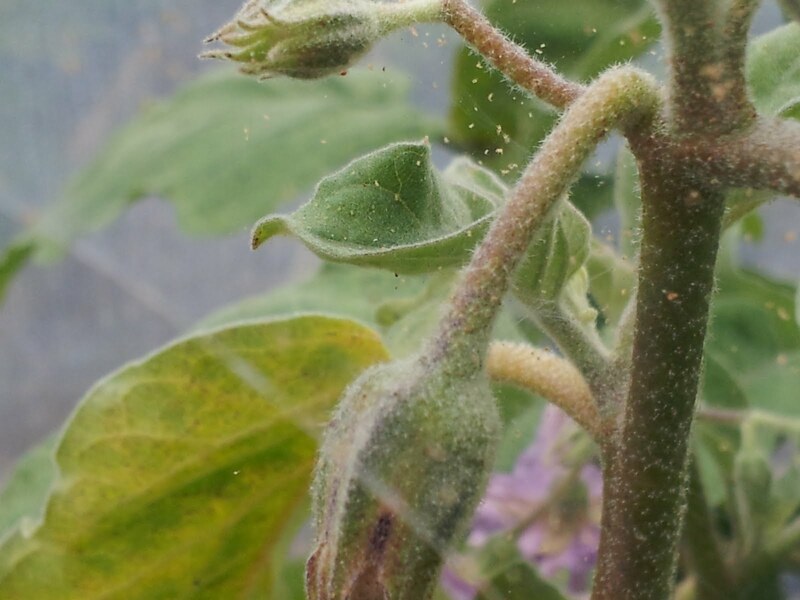 I think that keeping your tunnel or glasshouse dampened down is supposed to help keep red spider mite at bay. But in damp climates this can cause rot and mould, so it isn’t always feasible. My tunnel is rampant with this tiny little pest — it is especially bad on the cucumbers. I think I will try the biological control if I can get my hands on some because I’ve had it for 3 years running and can’t seem to shift it with hygiene methods or water spray. It makes me so sad! 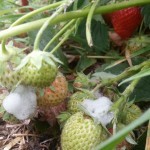 It is and it does work but as you said, you have to make a decision whether to risk the mildews or allow the spidermite to proliferate. Last year we had an irrigation system set up in our polytunnel and I wasn’t aware of any spidermite inside it. This year I’ve been (irregularly) hand watering so the tunnel has been quite dry and like you, noticed this week that the middle bed is rife with the little pests and I’m going to have to remove and destroy everything in it 🙁 Best of luck with the biological control, I think I’ll be joining you with it.